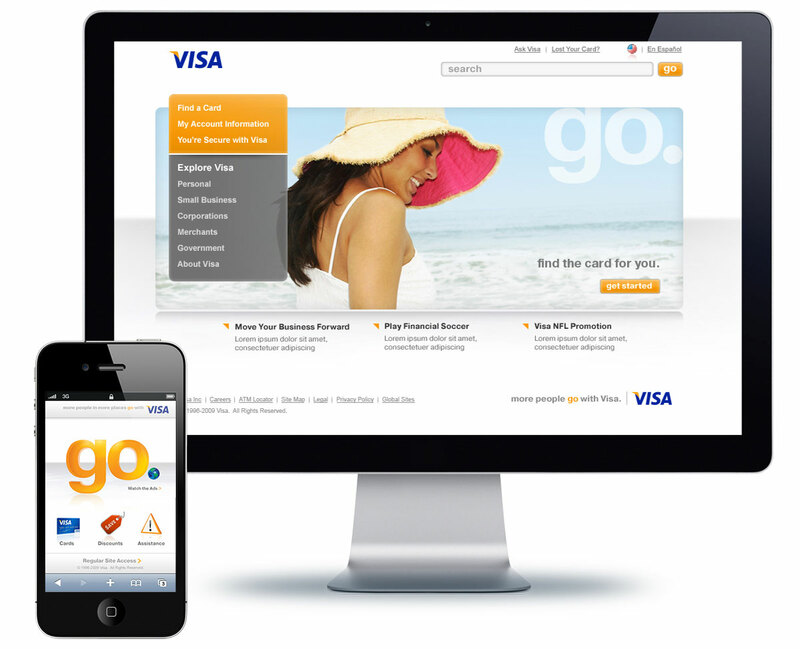 To coincide with the "Go" campaign, Visa USA initiated a corporate site redesign and officially launched their first mobile site. 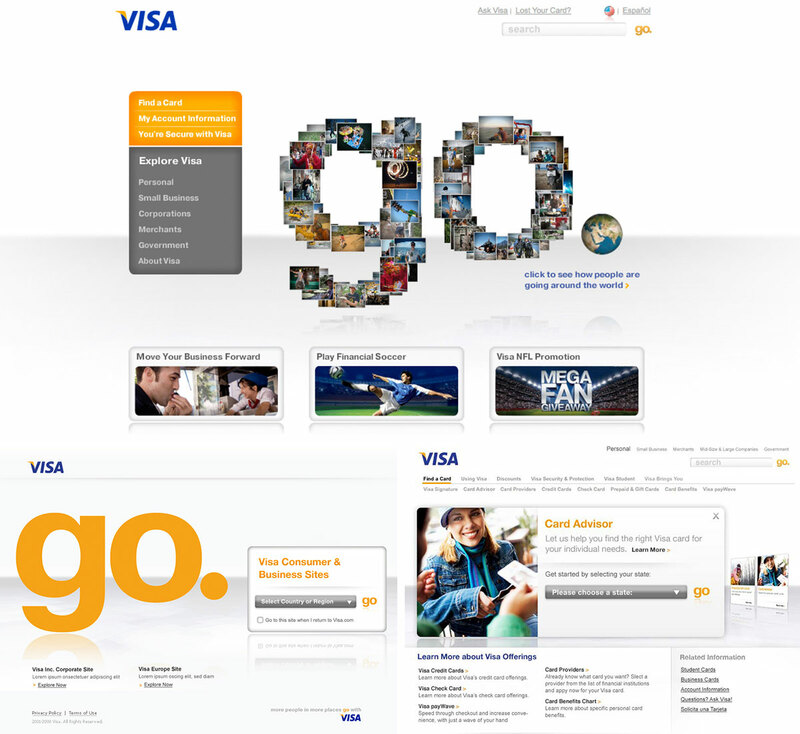 My proposed, and implemented concept employed flash papervision to give the site dynamic 3-D transitions, and uses colorful and engaging lifestyle photography true to the "Go" brand. 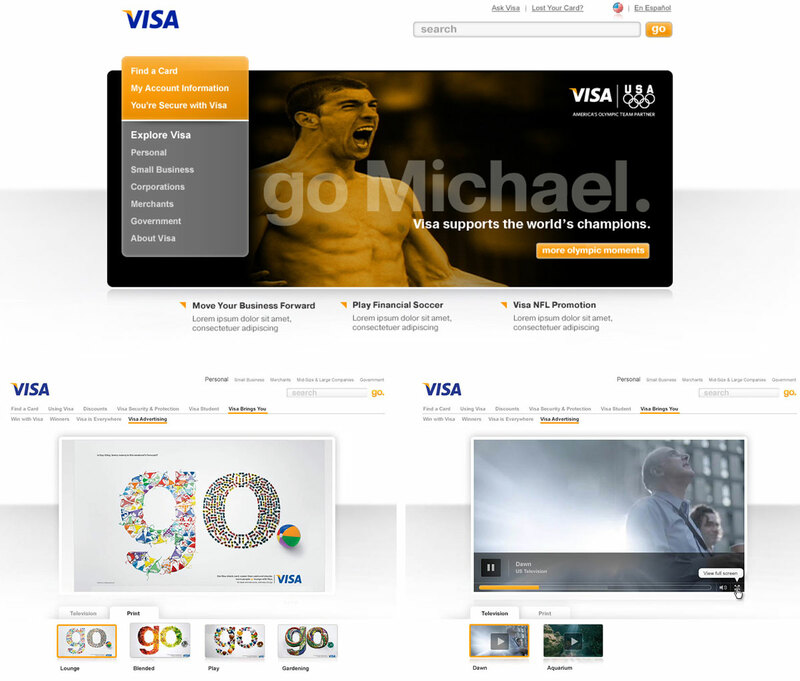 The homepage design uses a format that is easily and often updated depending on the season or special occasions/promotions such as the Olympics. 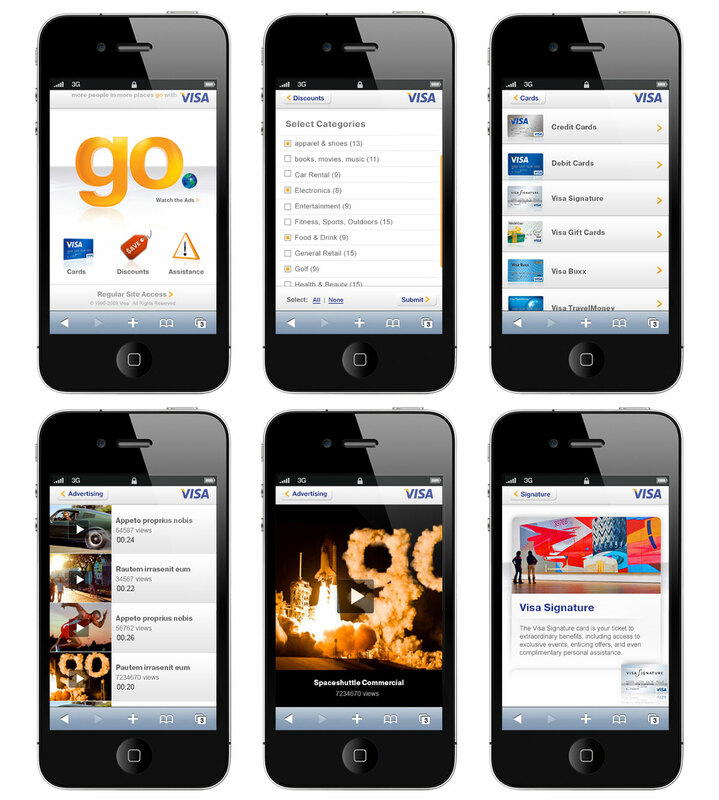 Alongside the Visa "Go" website redesign, I designed and worked on the launch of Visa's very first mobile site. Due to schedules and timelines, we used a multi-phased approach where the initial launch was of a more limited scale and complexity of the subseququent phases.